Here’s ONE big reason to fly with your travel buddy! 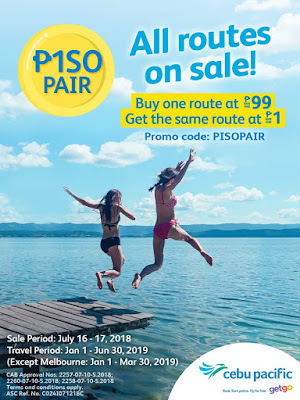 Check out Cebu Pacific's PISO PAIR Promo! 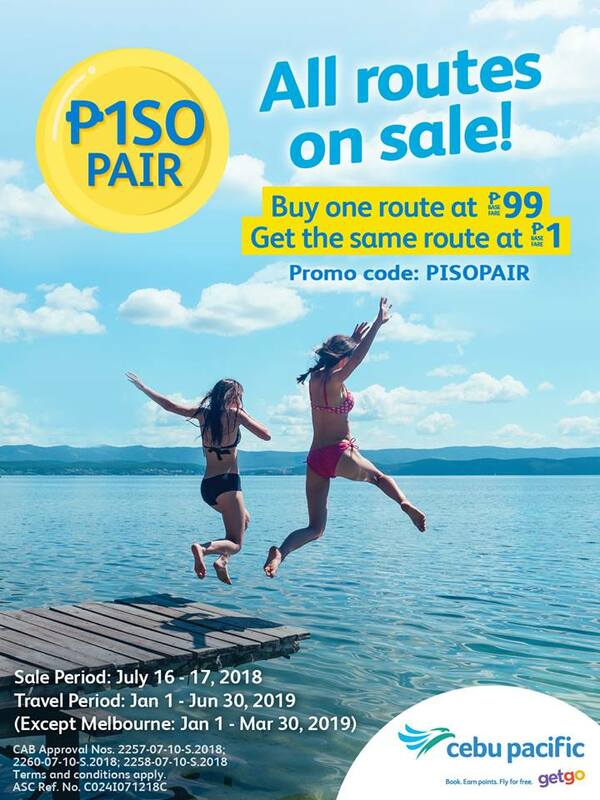 Book for the two of you now until July 17, 2018 (or until seats last) to enjoy Cebu Pacific's Piso Pair! Online payments only! Enjoy airfare as low as P99 (plus P1, same route) base fare to domestic destinations, and as low as P99 (plus P1, same route) to international destinations.